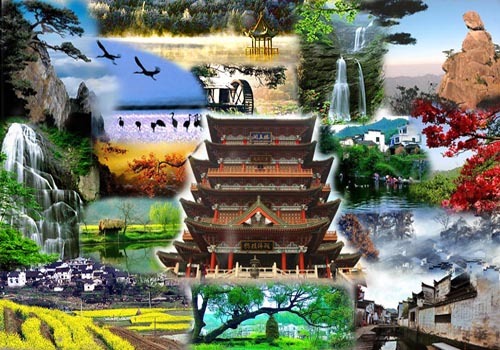 Jiangxi (jiāng xī 江西), also called "Gan (gàn 赣)" for short, is one of China's inland provinces. It is located in the southeastern part of the country, on the southern bank of the Yangtze River,with a Population of 44 millions (A.D. 2008). Hills and mountains account for 60 per cent of the province's total area. 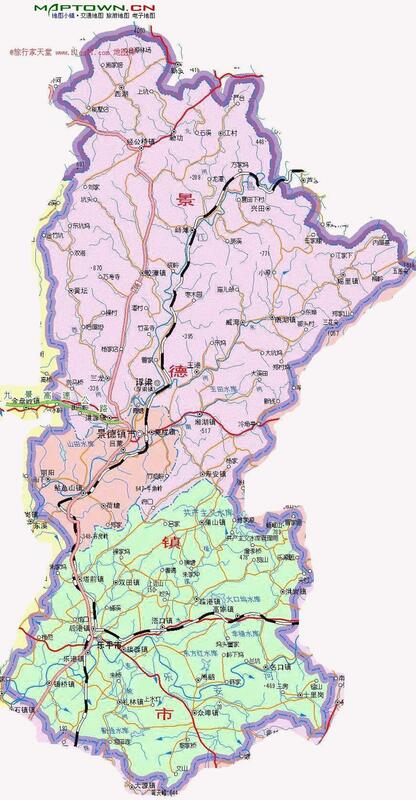 It borders Zhejiang (zhè jiāng 浙江) and Fujian (fú jiàn 福建) in the east, Guangdong (guǎng dōng 广东) in the south, Hunan (hú nán 湖南) in the west and Hubei (hú běi 湖北) and Anhui (ān huī 安徽) in the north, covering a total area of 166,900km2. With numerous rivers and streams, fertile soil and a dense population, it is known as the "granary south of the Yangtze River". 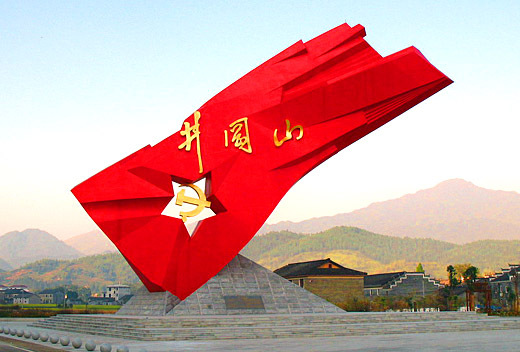 It's provincial capital is Nanchang (nán chāng 南昌). Mt. Jinggangshan (jǐng gāng shān 井冈山) is located on the common boundary of Jiangxi Province (jiāng xī shěng 江西省) and Hunan Province (hú nán shěng 湖南省), 352 kilometers southwest from Nanchang (nán chāng 南昌). It was these natural indentations that gave the mountain its name of Jing, meaning well and gang, meaning ridge - hence 'Jinggang'. The mountain has great significance in the annals of modern Chinese history for it was here that important events during the Chinese revolution took places. Jingdezhen (jǐng dé zhèn 景德镇), known as the "Porcelain Capital" of China, has a long history and a magnificent culture. 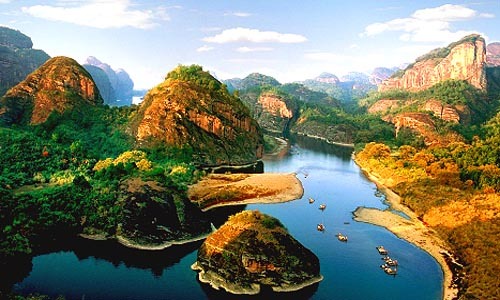 It is located on the south of the Yangtze, between the Huangshan Mountain (huáng shān 黄山) range and the plains of Poyang Lake (pó yáng hú 鄱阳湖). 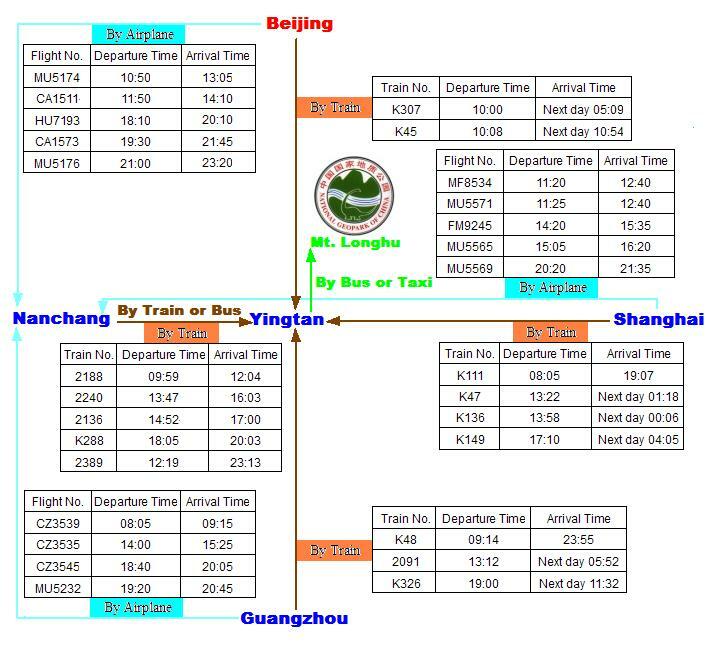 It is one of the four famous towns in Chinese history, designated one of the first 24 famous Chinese cities of historical and cultural interests and a first-rate city opening to the foreigners by China's State Council. Jiangxi Cuisine (jiāng xī cài 江西菜) is also called Gan Cuisine (gàn cài 赣菜) is derived from the native cooking styles of the Jiangxi province of southern China. Jiangxi cuisine has a long history and inherits the dishes of past centuries developing into the unique native dishes with strong provincial characteristics. 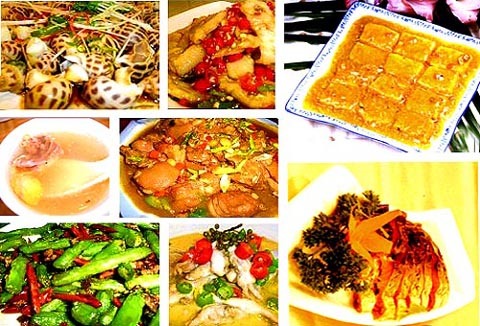 Jiangxi Cuisine consists of local dishes. In particular, special local products are widely popular. There are various kinds of Jiangxi local snacks and pastries cooked by different methods, all of which have their own characteristics.